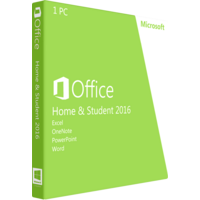 Microsoft Office Home & Student 2016 is a pack of Microsoft software for work and studying optimized for home usage and studying at school and college. The kit offers standard Microsoft applications which enable you to create, edit, manage, share and publish documents in popular formats as .rtf, .docx, .xls and others. What is the difference between Microsoft Office Home & Student 2016 and Business Edition? Both kits provide complete set of standard applications for work with documents of various formats. The key difference is that Business edition contains full-fledged Outlook component with Calender, mailer and task manager and the Microsoft Office Home & Student 2016 version offers only standard set: Word, PowerPoint, Excel, and OneNote. This difference sufficiently changes the price of the Microsoft Office Home & Student 2016. Thus, if you do not need Outlook, then you can save costs and get only essential pack of applications. What is in the kit of Microsoft Office Home & Student 2016? Word 2016 is an improved and advanced version of standard application for work with text documents. The application provides you powerful editing, document managing and sharing tools. Innovative Design tool lets you modify graphics inside the document without using other applications. The Insight Tab offers you relevant information right from the web. This is a workflow advancing feature which lets you get necessary information instantly in the document without using a browser. Excel 2016 is a powerful application for managing big amounts of numeric data. This tool is essential for effective housekeeping allowing you to plan incomes and expenses, purchases and savings. New user interface is much simplified and enables you to easier find necessary options and apply tools. Now the tool panel is grouped. Each group contains related tools for completing certain tasks. PowerPoint add-on is a great tool for creating, editing, managing and sharing professionally looking presentations. The application has got new animating features, new transitions and now supports video integration right in the presentations. Threaded comments will let you get the feedbacks from users instantly. OneNote is a digital notebook keeping your ideas and pieces of information well organized. The application allows you to capture ideas, web pages and online content. All Microsoft products are now supporting OneDrive being a brand cloud service allowing instant access to your saved documents and files wherever you are and whenever you need them. The cloud service is well protected, thus your documents will be safe online. The Microsoft Office Home & Student 2016 is only for one computer. This means that you can install the pack only to one PC. If you need the Microsoft kit on more PCs, then you will need to buy other solutions as Office 365 Home or Personal allowing to cover up to 5 home computers (in case with Home edition) or to install the applications to PC, tablet and mobile phone. Student edition 2016 is a great product for personal usage meeting the standards and modern pace of educational process.  Choosing this solution you will not additionally pay for applications and extensions which you will never use.